People are counting the hours until the final season of “Game of Thrones” begins on April 14th, but HBO isn’t waiting until then to produce one of the most acclaimed and award-winning hours of TV by pairing their two best comedies, “Veep” and “Barry,” starting March 31st. As the incredible “Veep” begins a final season, it almost feels like it’s passing a baton to “Barry” as the best comedy on not just HBO but all of television (at least while “Atlanta” isn’t on the air). The first three episodes of “Barry” are flat-out brilliant, balancing the show’s dry wit and humor with its increasingly dark edge that sometimes makes it feel more like “Breaking Bad” than a traditional laugher. As for “Veep,” it’s a show that’s had a different flavor not only since Armando Iannucci left but since a certain someone won the election and the true stories of political insanity somehow became sillier than the fictional ones. And yet, while it may not be quite as insightful or scathing as it once was, “Veep” is still one of the best shows on TV, largely because it has arguably the best ensemble, all of whom return at the top of their game. Let’s start there with Selina Meyer’s (Julia Louis-Dreyfuss) latest run for the President of the United States. With a horrible slogan (“New. Selina. Now.”), she heads to Iowa with her team, most of whom haven’t changed much in the seven seasons “Veep” has been on the air. There’s a sense over the first three episodes of the futility of politics and the scene that surrounds it. We can rebrand, come up with new campaign slogans, and espouse new political beliefs, but we will make the same mistakes over and over again. Dan Egan (Reid Scott) is still viciously selfish; Ben Cafferty (Kevin Dunn) is still too world weary to get another job; Richard Splett (Sam Richardson) is still hysterically naïve. And yet the familiarity of the start of season seven doesn’t feel like writers falling back on easy jokes as much as it does a commentary in and of itself. People who think a President like our current one will change the political system are fooling themselves. 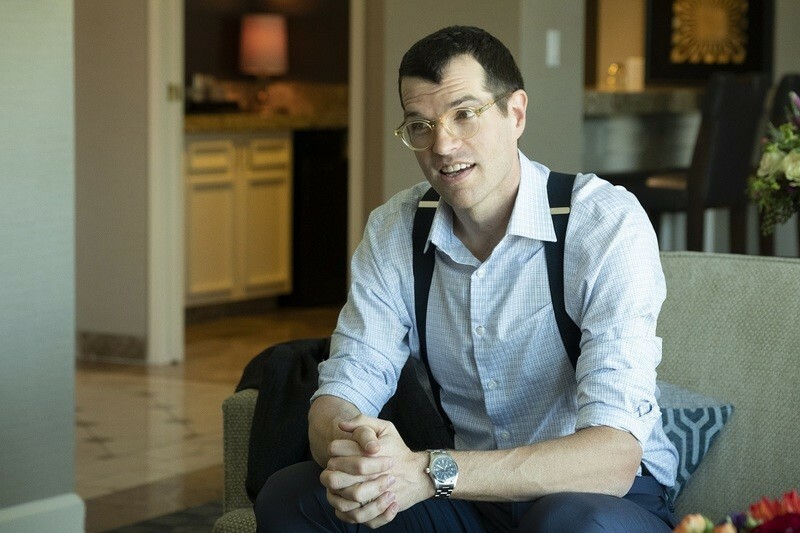 One man who thinks he can change the system is Jonah Ryan (the amazing Timothy Simons) who is running for President too, working with Teddy Sykes (Patton Oswalt, who gets some of the biggest laughs) and Bill Ericsson (Diedrich Bader). Fans of the show will remember Sykes sexually harassed Ryan. Nothing creates actual political enemies in D.C. if there’s an office to win. Political greed has always been a theme of “Veep,” but it feels more prominent in the final arc. Discuss amongst yourselves if this is reflective of the 2016 Presidential winner. While the writing is sharp, the MVP of “Veep” has always been its ensemble. Julia Louis-Dreyfus’ performance remains one of the best in TV history, and she’s still masterful at capturing Selina’s coiled anxiety. Something is going to wrong, she just doesn’t know what yet. And yet this is not the one-woman show it may appear from the outside. Simons, Scott, Anna Chlumsky, Oswalt, Richardson—they all get moments to shine in just the first three episodes. I didn’t realize until I watched this trio of episodes how much I’ll miss this entire cast. 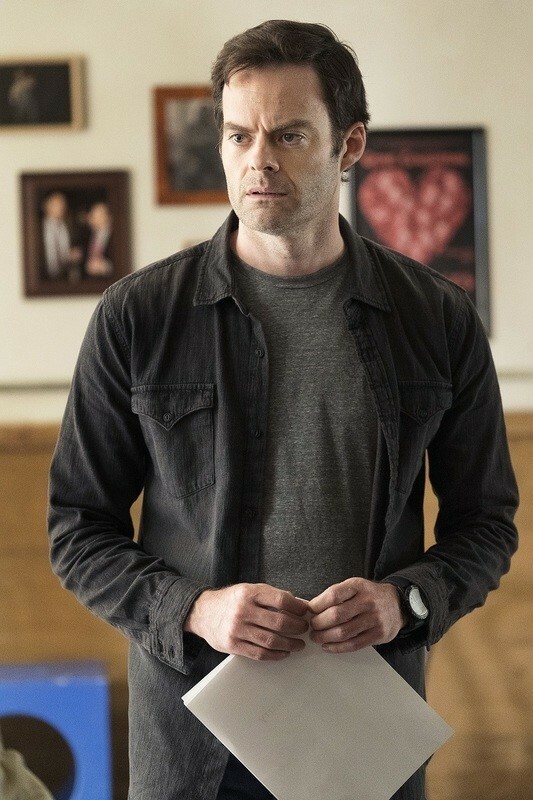 Luckily, it feels like we’re just getting started with the ensemble of Alec Berg and Bill Hader’s “Barry,” possibly the best show on television. Hader’s performance as the title character, a hitman moved to Hollywood, is simply note-perfect, capturing a sense of danger and social anxiety that is subtle and nuanced. Season two picks up right after the action of season one. Detective Moss is missing, possibly killed by Barry to protect his secret, and Gene Cousineau (Henry Winkler) is crestfallen that his new love interest has fled. Barry pushed Fuches (Stephen Root) out of Los Angeles, but his former handler just can’t quite escape his former life. And NoHo Hank (Anthony Carrigan) and Sally Reed (Sarah Goldberg) return as well, while Barry digs into his own background to unpack his demons. Too much about the plot of season two’s opening arc would spoil the main strength of this show, which is the delicate way in which its plot unfolds. It’s a program that could only be called “smooth” in the way it slides from plot point to plot point in a way that never feels desperate or eager to please. It’s wondrously unpredictable while also still somehow feeling believable and never forced in its storytelling. Recapping what happens on this show for someone is really difficult in that it sounds generic and silly. A hitman in Hollywood? Haven’t we seen that? We’ve never seen it quite like this. Three episodes of each season screened for review.